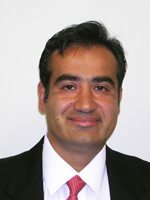 Dr. Mehrun Elyaderani is one of our hand specialists here at Orthopaedic Associates. He specializes in hand and upper extremity surgery, as well as general orthopaedics. Dr. Elyaderani joined OAI in 2000 and we are proud to have his expertise as part of our team. For an appointment please call (440) 892-1440. He sees patients in Westlake, Avon, and Lakewood, Ohio.